Built on the foundation FortiOS 5, the FortiGate/FortiWiFi 50/51E series provides an integrated set of essential security technologies to protect all of your applications and data. You get advanced threat protection, including firewall, application control, advanced threat protection, IPS, VPN, and web filtering, all from one device that's easy to deploy and manage. With our FortiGuard® security subscription services you'll have automated protection against today's sophisticated threats. 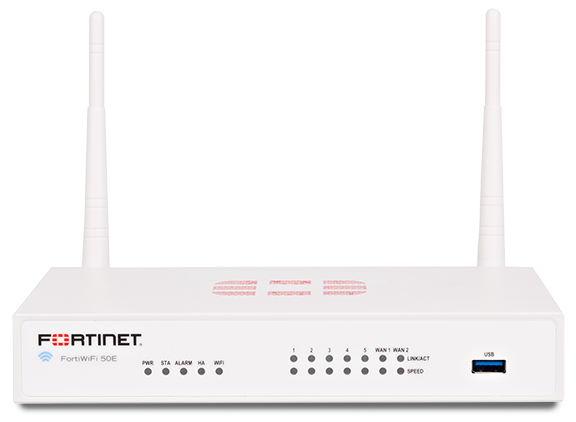 The FortiGate/FortiWiFi 50/51E offers beyond the industry's best firewall with the latest in Advanced Threat Protection including Sandboxing and anti-bot protection, Feature Select Options for simplifying configurations and deployments, and Contextual Visibility for enhanced reporting and management. 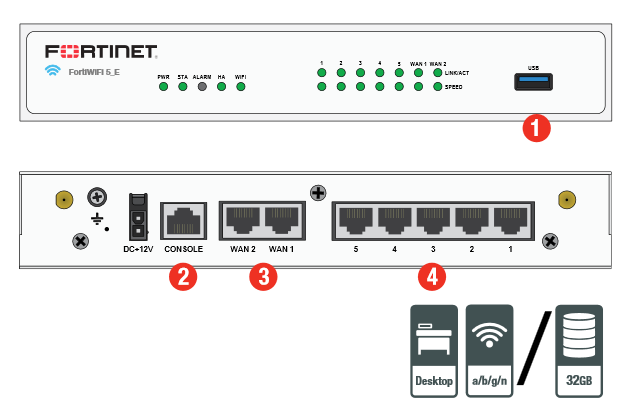 Designed for small environments, you can simply place the FortiGate/FortiWiFi 50/51E on a desktop. It is small, lightweight yet highly reliable with superior MTBF (Mean Time Between Failure), minimizing the chance of a network disruption. Download the Fortinet FortiGate/FortiWiFi 50E Series Data Sheet (PDF).